Fishing in the Madeira archipelago is strongly conditioned by the almost absence of islands shelves and its steep slopes. Also, the oligotrophic nature of the marine waters off these oceanic islands are an environmental conditioning to the development of large biomasses of fishes. These factors favor a fishery strongly dominated by the catch of migratory large pelagic fishes (e.g. 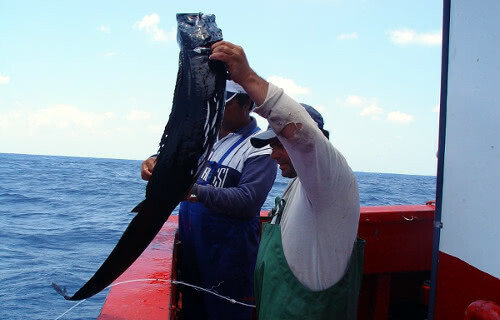 tuna species) and the centenary fishery of an abyssal species the black scabbard fish. 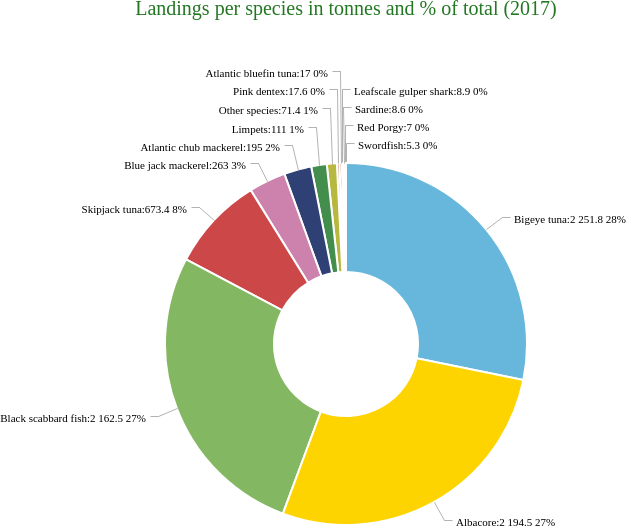 Only seven/eight species (bigeye tuna, black scabbard fish, skipjack tuna, albacore, blue jack mackerel, atlantic chub mackerel and limpets) represent together around 99% of the landings of marine species by the Madeira fleet. 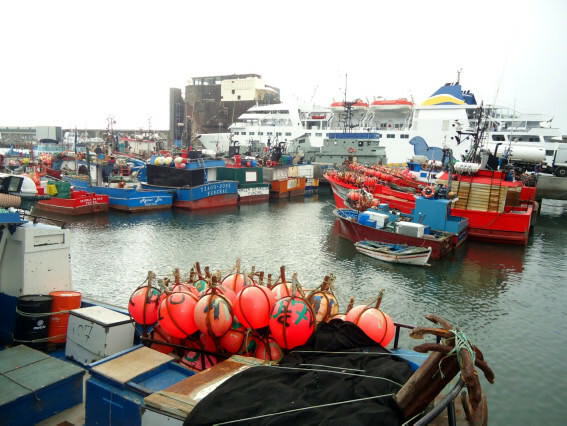 The active commercial fishing fleet of Madeira it is essentially an artisanal fleet that has decrease steadily in number of vessels from the 1990’s onwards and it is actually mostly constituted by small (under 12 m) vessels. The fleet also comprises around 22 active vessels, mostly from the segment 12-18 m, directed to the fishery of black scabbard fish with drifting longline, 3 purse seiners from the 18-24 m segment capturing small pelagic fishes and bait boats, including a few of the segment 24-40 m, capturing tuna species with pole and line (one by one).